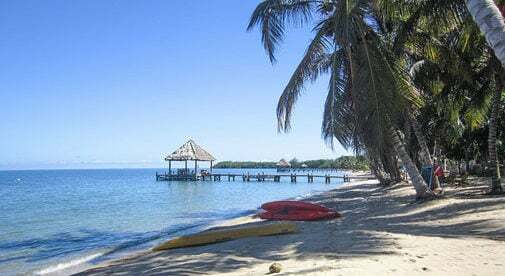 Traditionally a quiet, unassuming beach town, Hopkins, in southern Belize has in recent years become a must-visit place for many visitors to the country. There are many reasons for this growth in popularity, from its ideal location to many southern mainland tours, highly rated resorts, and authentic culture, to its proximity to Sittee River. Hopkins is a small, authentic Central American village that is warm and welcoming to visitors. There is a large percentage of Garifuna settlers here, who have maintained their cultural traditions, such as drumming, which is a must-do in Hopkins. Directly adjacent to Hopkins is the Sittee River and “resort row”. 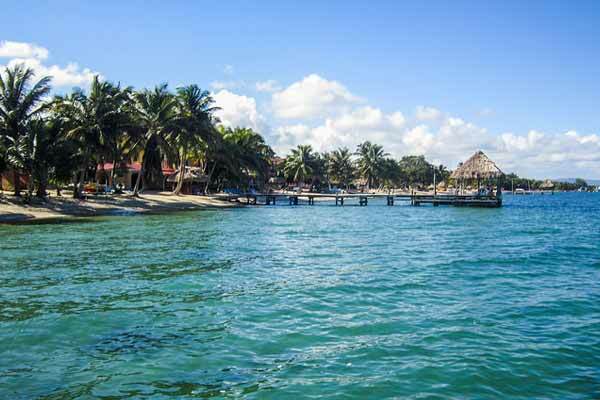 The marina close to the resort area has started to become highly sought after for Belize investors, and there is a great deal of development here. Along Sittee River, boaters will be able to access deep river boating with direct access to the Caribbean Sea. If the idea of an authentic cultural village, newer to tourism than the more developed, discovered places like Ambergris Caye, Caye, Caulker, and Placencia, appeals to you. And you like the idea of land that looks like it could be Alabama from 100 years ago. Or you like the idea of deep-water boating with direct access to the sea. Then you may want to put Hopkins on your must-visit list. For those that have made this decision, here is a guide to making the most out of your time here. Discover natural river tubing, waterfall swimming, tropical forest hiking, natural rock slides, and more at Cockscomb Jaguar Preserve. You can do day tours, or thrilling night tours, and you can even check out plane crash remains in the woods, or a very exciting and challenging hike up to a waterfall. Take world-class hikes at Mayflower Bocawina National Park. Or do a remarkable zip line through the jungle, or day or night jungle tour. Take a cultural tour, including Maya food, Spice Farm, and Garifuna drumming. The chocolate tour is a fascinating history of Maya culture and food, and you will actually make chocolate from the bean. The Spice Farm tour is very popular, and is an amazing experience seeing many exotic and tropical spices. Experiencing Garifuna culture is also very popular, you can do a cooking class, listen to the rhythmic Garifuna drumming, or even learn the drumming yourself. Snorkel the second biggest barrier reef in the world. Some of the best snorkeling in Belize can be found in the south. Some of the most popular snorkels from Hopkins include South Water Caye, Glover’s Atoll, Turneffe Islands, and the famous Blue Hole. You can snorkel or scuba dive, and even do your certification with highly rated scuba companies. Get drinks at Driftwood Bar, The Coconut Husk, and make sure you visit the Curve Bar. These are great places to mingle with locals and expats. Also make sure you visit Caribbean Village, where you can find first-class services and shopping. Have dinner at Chef Rob’s—this is a special experience right on the shore under a thatch roof in the open sea air, it’s casual and yet very special at the same time. Take a bike ride through Hopkins Village and Sittee River. There is much to see and do, and you will be navigating a mix of dirt and paved roads. You can’t get lost though—there are only two roads off the main highway to get into Sittee River and Hopkins. Stand up paddleboard through the rivers, lagoons, and reefs, you can get up close and personal but still be above water. Belize is a great place to learn how to paddleboard because of the reef system which keeps the water relatively calm, and there are plenty of flat lagoon and river systems. Two other great side trips to consider from Hopkins are to rent a car for a day and drive to Placencia, a more developed and charming village in southern Belize, or to take a mainland tour in San Ignacio, such as Xunantunich Mayan Ruins, the ATM Cave tour, or Cave Tubing. When it comes to staying in Hopkins you can relax at one of the many highly-rated resorts along resort row. Hamanasi is one of the most highly-rated resorts in Central America, and as such, it can be pricey. But if you read the reviews, almost everyone agrees that it is worth it for the experience due to the level of service, wonderful restaurant, and beachfront location with many areas to relax and enjoy nature. Fortunately, there is a range of resorts for every budget here. Jaguar Reef is more moderately priced but with wonderful pools, restaurants, free bikes, and a very central location. You can hardly go wrong with any resort in this area. Interestingly, most of this part of Sittee River is a scrubbed-clean tourist area—one of the only places in the country that is specifically set aside for tourists, no local housing in the vicinity, and yet it still manages to maintain local charms, with Hopkins just a short bike ride away. To get to Hopkins you will fly into Belize’s one and only International Airport, Philip S. W. Goldson International Airport, BZE, in Belize City. Hopkins is about a two-and-a-half to three-hour scenic drive from here. 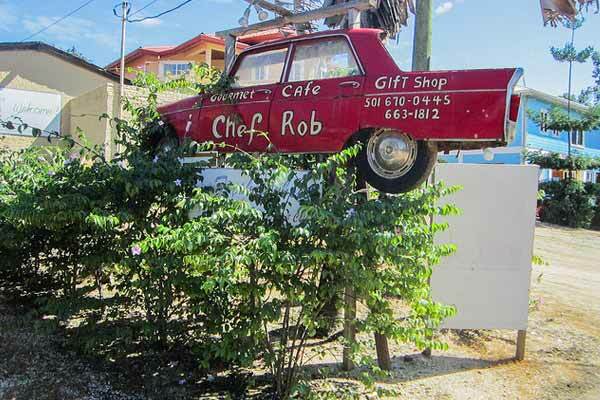 Driving in Belize is straightforward and renting cars in common practice. Other popular methods of transport to Hopkins are to get a shuttle bus from BZE directly to your hotel, or you can take a puddle jumper to Dangriga, which will take you about 15 minutes, and you can get a cab or hotel shuttle to your hotel from there.